A longtime music critic launches a new-music series at Constellation. A Chicago Reader music critic for almost 20 years, Peter Margasak has his finger on the pulse of all aspects of the local music scene. He’s recently branched out into programming with Frequency, a weekly new-music series dedicated to showcasing “rigorous, boundary-smashing composed and improvised music” that will take place each Sunday at the new Roscoe Village venue Constellation, formerly home to the Viaduct Theater. Margasak tells us about his latest endeavor and why he’s excited to shine a light on Chicago’s new-music community. What motivated you to start this series? I love being a music critic, but there’s often a yearning to be an advocate, too, so programming this series gives me a chance to do so. 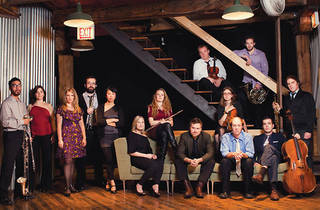 There are loads of chances to hear this music year-round, but I feel like there aren’t many series that try to connect the dots between the strong experimental, improvised and contemporary classical scenes in Chicago. I hope I can do that with Frequency. Tell us more about the new venue, Constellation. It’s a casual space with a bar, but the listening rooms are separate from the bar areas and I expect the environment will be conducive to close listening. But I also want this series to be a social hang, too. Finally, I’m hoping that by presenting many of the city’s most exciting groups week after week in the same space a kind of critical mass and creative energy will emerge—that cumulatively the concerts will make more listeners realize what a treasure of new music Chicago has right now. Just to program great music every week, with inherent variety, adventurousness and craft. How do you plan to draw an audience outside of the current new-music community? Of course, I’d love for it to generate greater notice of this potent segment of Chicago’s musical community as well as attract a large audience—especially folks who listen mostly to rock or jazz and haven’t realized certain affinities—but quality music is the most important thing. Part of the reason I’m happy to do this at Constellation is that the audience is diverse by design—there will be dance, comedy, jazz, world music and film, so divergent worlds will gather in one space. In what ways do you feel Chicago’s new-music community has developed most significantly over the last few years? I think it’s clear that in the wake of groups like ICE and eighth blackbird there has been an explosion of small, adventurous ensembles that have embraced a DIY attitude. Instead of waiting to connect with an orchestra, it seems like loads of ambitious, open-minded musicians are banding together to take matters into their own hands. Nearly all of these groups focus on new music—using that term rather broadly—allowing young composers as well as overlooked work from the last century to be heard by curious audiences. There are loads of great composers at work today, but it’s hardly news that most institutions that regularly present classical music do little to play their music or engage lesser-known material. What local new-music groups excite you most now? I can’t help but say that Ensemble Dal Niente is probably the group that captivates me most often. They have a deep sense of adventure and fearlessness coupled with impressive precision. Their performance of [Georg Friedrich] Haas’s In Vain in February was one of the year’s highlights for me. They need to perform it again. How has being a critic helped you in terms of getting Frequency off the ground? My job as a critic has been the sort of non-stop act of self-education that I find important in curating a series like this. I’m learning about all of the logistical, technical stuff as I go, but I trust my aesthetic gut, first and foremost. 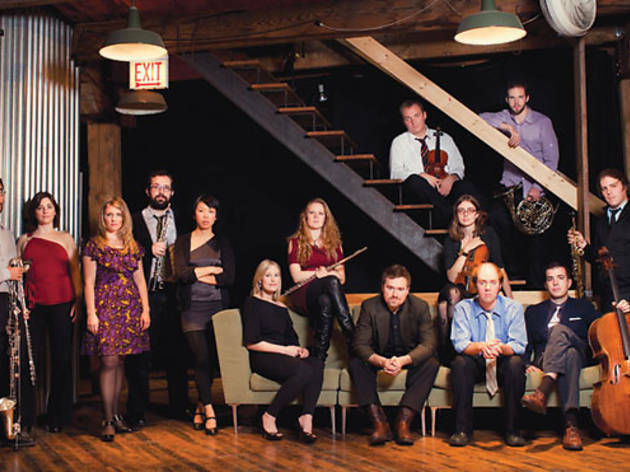 Frequency kicks off April 27 with a free “open house” concert featuring Ensemble Dal Niente and the Green Pasture Happiness.